The Most Important Thing In Life Is… To Love Someone. The Second Most Important Thing In Life Is... To Have Someone Love You. 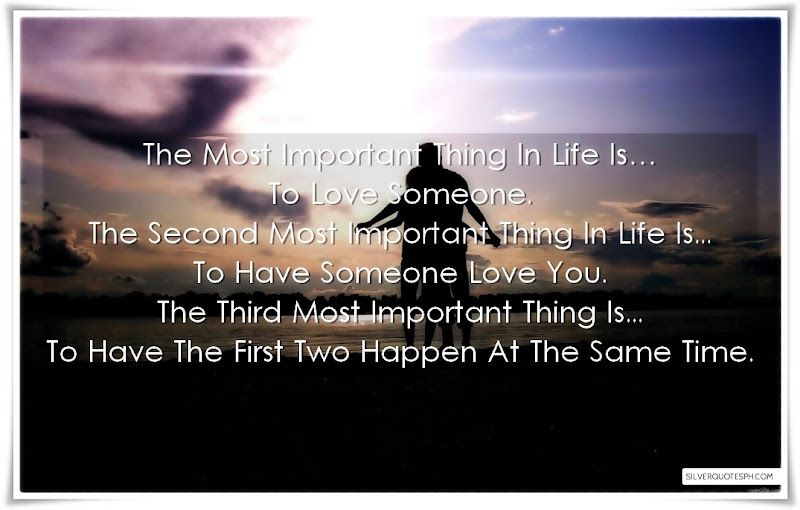 The Third Most Important Thing Is... To Have The First Two Happen At The Same Time.